Open Access BPO has been providing Sales Operations, Customer Support, Technical Support, Data Entry, Content Moderation and e-Commerce Support Service solutions to a host of international clients since 2006. The company specializes in handling critical business processes and providing call center solutions to clients in a variety of languages, including English, Spanish, Japanese, and Chinese. After marking its 10th anniversary, Open Access, which is a corporate member of the Israel Chamber of Commerce (ICCP), continues to improve its services by expanding its operations in China and participating in a notable cause for people with disability. On June 2017, Open Access officially opened its new contact center in Xiamen City, China, primarily for foreign carriers entering the Chinese air transport market. 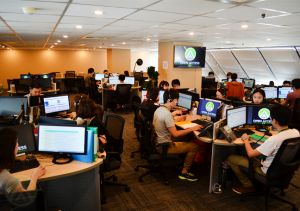 In addition to Open Access contract centers in Makati, Davao (Philippines) and Taipei (Taiwan), this is the fourth location established by the company in Asia. Open Access participates annually in the TCS New York City marathon. The marathon covers the five boroughs of NYC and is considered the largest marathon in the world to-date with a total of 98,247 runners in 2017. 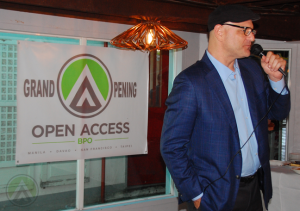 Open Access BPO’s CEO Benjamin Davidowitz addresses members of the media during a press luncheon held hours before the official launch of the outsourcing company’s Davao office. 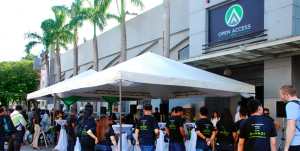 Not only did the marathon serve as a form of employee-engagement for the company but the organization’s participation also supported a cause. Open Access BPO renewed its partnership with Ryan’s Run through a $30,000 donation to the charity, which allowed four participants from their company to join the important cause. Ryan’s Run is one of the Silver Charity Partners of the NYC Marathon and is a Pennsylvania-based nonprofit organization dedicated to helping people with disability. G/F Filandia IT Center Quirino Ave.